You love her to the moon and back. Now it's time to show her just how much she means to you. Take her breath away with a promise engagement ring that symbolizes your commitment. Let this spectacular ring be a constant reminder of how much she is adored. 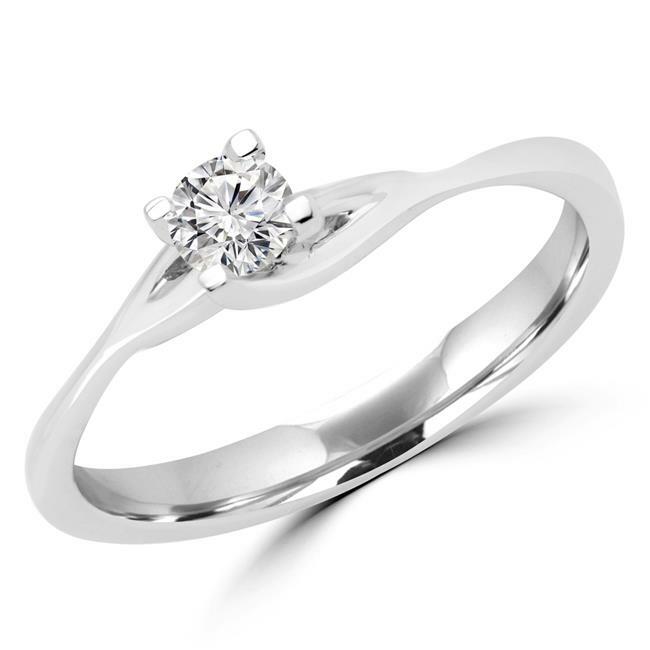 Imagine the look on your sweetheart's face when you slip this elegant ring on her finger. She'll be awestruck by its sophisticated beauty and you'll be wowed when she echoes your sentiments and promises her hand forever. This 1/5 CT Round Diamond Solitaire Engagement Ring offers a breathtaking level of sophistication and style. A glorious white diamond shines brilliantly from a lustrous 14K white gold band. The diamond has an F-G color and VS1-VS2 clarity. What a gorgeous ring to secure the hand of the one you love.